“…to show his servants what must soon take place” (v. 6). 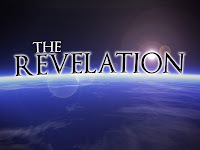 The book of Revelation begins with the following words: “The revelation of Jesus Christ, which God gave him to show to his servants the things that must soon take place” (1:1). 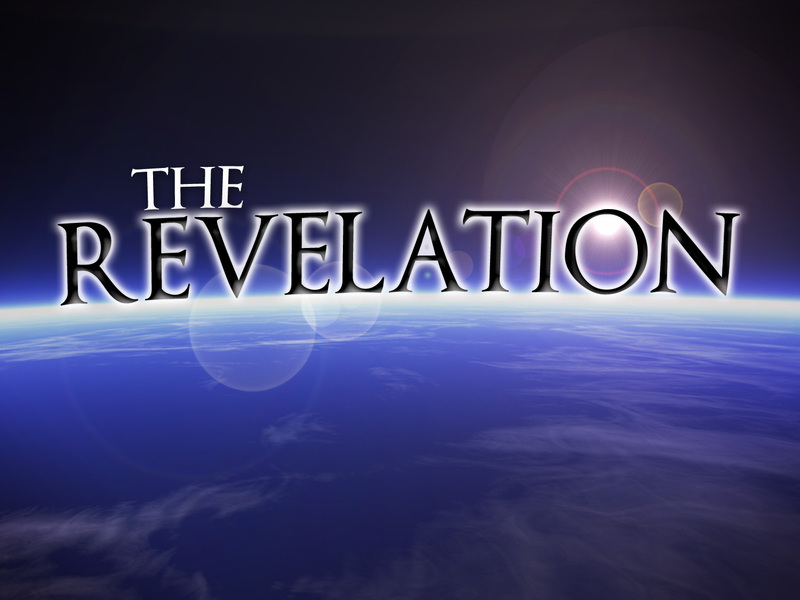 The word “revelation” (apokalypsis) means “unveiling.” Revelation reveals that there is coming a day when Jesus Christ will be revealed to the world. “Behold, he is coming with the clouds, and every eye will see him” (1:7). Probably some of you heard that Steve Jobs resigned on Wednesday as CEO of Apple (the company responsible for the iPod, the iPhone, and the iPad). This week I came across a video of Steve Jobs unveiling the Macintosh computer in 1984 (see below). The audience was very impressed with the Macintosh, but I doubt most of them understood how the Macintosh worked. How did all the parts of the computer work together to do what it did? Why must these things take place? First, these things must take place because God is sovereign. God is in control. He has a plan. And He will accomplish that plan. Second, these things must take place because God is faithful. “These words are trustworthy and true” (v. 6). God will always do what He says. In the introduction of Revelation, there is a promise of blessing to all who obey its words (1:3). In the conclusion, there is a warning of judgment to all who twist its words (22:18-19; cf. Deut. 4:2). BUT IS JESUS COMING SOON? “And behold, I am coming soon” (v. 7). “Behold, I am coming soon” (v. 12). “Surely I am coming soon” (v. 20). “The appointed time has grown very short” (1 Cor. 9:29). “The Day is drawing near” (Heb. 10:25). “The coming of the Lord is at hand” (James 5:8). “The end of all things is at hand” (1 Peter 4:7). “The time is near” (Rev. 1:3). About two thousand years have passed since Jesus said, “I am coming soon.” Did He break His promise? In 2 Peter 3:1-13, Peter tells us how we can answer “scoffers” who ask, “Where is the promise of his coming?” (v. 4). First, God has a different perspective on time (v. 8). To God, 1000 years are like one day. Second, God is patient (vv. 9-10). He is “not wishing that any should perish, but that all should reach repentance” (v. 9). The “delay” in Christ’s return allows people more time to turn to faith in God. Jesus declared, “This gospel of the kingdom will be proclaimed throughout the whole world as a testimony to all nations, and then the end will come” (Matt. 24:14). Third, God allows us to speed up or delay Christ’s coming (vv. 11-13). Does this violate the sovereignty of God? No. God is able and willing to use our actions in His sovereign plan. Amen. Come, Lord Jesus! (v. 20). What should we do until Christ’s return? First, we should long for Christ above the world’s attractions. Paul ended 1 Corinthians with the words, “Our Lord, come!” (1 Cor. 16:22). In Aramaic, this phrase is marana tha. It was probably an early Christian prayer for the return of Jesus. Jesus taught us to pray, “Your kingdom come” (Matt. 6:10). The Bible ends at the beginning (compare Rev. 22:1-15 and Gen. 2-3). What does the beginning of the Bible tell us about the original paradise? First, in Eden, there was a river. Second, in Eden, there was a tree of life. Third, in Eden, there was no curse. Fourth, in Eden, there was fellowship with God. Paradise was lost because Adam and Eve disobeyed God. But Christ crushed the head of the serpent (Gen. 3:15) through His death and resurrection and opened up the way to paradise. What does the end of the Bible tells us about the new paradise? First, in heaven, life will be satisfying. Then the angel showed me the river of the water of life, bright as crystal, flowing from the throne of God and of the Lamb through the middle of the street of the city (vv. 1-2a). In heaven, we will not, as some people think, sit on a cloud and play a harp for eternity. Life will be completely fulfilling. Second, in heaven, life will be endless. Also, on either side of the river, the tree of life with its twelve kinds of fruit, yielding its fruit each month. The leaves of the tree were for the healing of the nations (v. 2b). Our days are limited (like grains of sand in an hourglass). In this life, there is never enough time to do everything we would like to do. But in the life to come, time will be unlimited. You can't "spend" eternity. Third, in heaven, life will be perfect. No longer will there be anything accursed, but the throne of God and of the Lamb will be in it, and his servants will worship him (v.3). When the Boston Red Sox won the World Series in 2004, Red Sox fans said the “Curse of the Bambino” was reversed. Can man reverse the curse of sin? Futurist and inventor Ray Kurzweil thinks it’s possible. In the 2009 documentary Transcendent Man, He predicts that by 2029 humanity will solve the problem of death (because of continued progress in genetics, nanotechnology, and robotics). However, the Bible declares that only God is able to reverse the curse. Fourth, in heaven, life will be glorious. They will see his face, and his name will be in their foreheads. And night will be no more. They will need no light of lamp or sun, for the Lord God will be their light, and they will reign forever and ever (vv. 4-5). It could be said that the Garden of Eden was the first temple. Why? (1) Israel’s temple was where the priest experienced God’s presence, and Eden was where Adam walked and talked with God (Gen. 3:8). (2) The entrance to Eden was from the east (Gen. 3:24), which was also the direction from which on entered the tabernacle and the later temples of Israel. (3) Genesis 2:15 says God placed Adam in the Garden “to work it and keep it.” The two Hebrews words translated “work” and “keep” are usually translated “serve” and “guard” elsewhere in the OT (Num. 3:7-8; 8:25-26; 1 Chron. 23:32; Ezek. 44:14). (4) When Adam failed to guard the temple by sinning, he lost his priestly role, and the two cherubim took over responsibility of “guarding” the garden temple: God “placed the cherubim…to guard the way to the tree of life” (Gen. 3:24). God commanded Moses to make two statues of cherubim and stationed them on either side of the ark of the covenant in the Most Holy Place. (5) The wood carvings gave Israel’s temple a garden-like atmosphere (1 Kings 6:18, 29, 32, 35; 7:18-20). (6) “God said to Adam, ‘Be fruitful and multiply and fill the earth and subdue it’” (Gen. 1:28). It is plausible to suggest that Adam was to extend the geographical boundaries of the garden until Eden extended throughout and covered the whole earth. This meant the presence of God, which was initially limited to Eden, was to be extended throughout the whole earth. What Adam failed to do, Revelation pictures Christ as finally having done (G. K. Beale, The Book of Revelation, pp. 1109-1111). God always wants what is best for us. Follow His will and you won’t be disappointed. There are many lies about heaven that Satan wants us to believe. Here are three. The first lie is that heaven isn't real. Stephen Hawking recently said, “There is no heaven. That is a fairy story for people afraid of the dark.” A second lie is that heaven can wait. Gary Player once said, “If there’s a golf course in heaven, I hope it’s like Augusta National. I just don’t want an early tee time.” A third lie is that heaven is the destiny of most. But Jesus declared, “I am the way, and the truth, and the life. No one comes to the Father except through me”(John 14:6). The word “new” is found four times in 21:1-8. Then I saw a new heaven and a new earth (v. 1a). And I saw the holy city, new Jerusalem, coming down out of heaven from God (v. 2a). And he who was seated on the throne said, “Behold, I am making all things new” (v. 5a). “New” here means not only new in time, but also new in quality (like replacing a regular telephone with a smartphone). “For behold, I create new heavens and a new earth, and the former things shall not be remembered or come into mind” (Isaiah 65:17). “According to [God’s] promise we are waiting for new heavens and a new earth” (2 Peter 3:13). There will be “heaven on earth”—literally. Heaven will be much better than we can imagine. So be courageous, not cowardly. “For [Abraham] was looking forward to a city that has foundations, whose designer and builder is God…. But as it is, they [the heroes of the faith] desire a better country, that is, a heavenly one. Therefore God is not ashamed to be called their God, for he has prepared for them a city” (Hebrews 11:10, 16). Second, in heaven we will experience the absence of sorrow. “He will wipe away every tear from their eyes, and death shall be no more, neither shall there be mourning, nor crying, nor pain anymore, for the former things have passed away” (v. 4). See Romans 8:18-23. Third, in heaven we will experience the end of dissatisfaction. "To the thirsty I will give from the spring of the water of life without payment" (v. 6b). See John 4:7-14. Whether people believe it or not, there is "more beyond" this world. Heaven is real, and it will be much better than you or I can imagine! So follow Christ courageously. Perhaps the most quoted verse today is Matthew 7:1: “Judge not, that you be not judged.” Another favorite verse is John 8:7: “Let him who is without sin among you be the first to throw a stone.” People don’t like to be judged. Of course, much of our judging is unfair or hypocritical. Jesus said, “Do not judge by appearances” (John 7:24). We often say, “Don’t judge a book by its cover.” Or, “Don’t judge a book by its movie.” But whether we like it or not, there is coming a judgment day for each one of us. “It is appointed for man to die once, and after that comes judgment” (Hebrews 9:27). The Bible has much to say about the coming judgment day. Consider the passages below. “At that time shall arise Michael, the great prince who has charge of your people. And there shall be a time of trouble, such as never has been since there was a nation till that time. But at that time your people shall be delivered, everyone whose name shall be found written in the book. And many of those who sleep in the dust of the earth shall awake some to everlasting life, and some to shame and everlasting contempt” (Daniel 12:1-2). “An hour is coming when all who are in the tombs will hear [the Son of Man’s] voice and come out, those who have done good to the resurrection of life, and those who have done evil to the resurrection of judgment” (John 5:28-29). “Why do you pass judgment on your brother? Or you, why do you despise your brother? For we will all stand before the judgment seat of God; for it is written, ‘As I live, says the Lord, every knee shall bow to me, and every tongue confess to God.’ So then each of us will give an account of himself to God” (Romans 14:10-12). Scholars debate about whether there are several judgments or just one final judgment. We won’t get into this debate. We’ll simply say that there is coming a judgment for us all—whether we are followers of Christ or not. What will happen at the final judgment? First, we will be judged by Jesus. Then I saw a great white throne and him who was seated on it (v. 11a). Christ Jesus, who is to judge the living and the dead” (2 Timothy 4:1). Second, we will be judged according to our deeds. And the dead were judged by what was written in the books, according to what they had done (v. 12b). And they were judged, each one of them, according to what they had done (v. 13b). “God will bring every deed into judgment, with every secret thing, whether good or evil” (Ecclesiastes 12:14). “I tell you, on the day of judgment people will give account for every careless word they speak, for by your words you will be justified, and by your words you will be condemned” (Matthew 12:36-37). “Nothing is covered up that will not be revealed, or hidden that will not be known. Therefore whatever you have said in the dark shall be heard in the light, and what you have whispered in private rooms shall be proclaimed on the housetops” (Luke 12:2-3). “On that day when, according to my gospel, God judges the secrets of men by Christ Jesus” (Romans 2:16). “No creature is hidden from [God’s] sight, but all are naked and exposed to the eyes of him to whom we must give account” (Hebrews 4:13). God “judges impartially according to each one’s deeds” (1 Peter 1:17). If you are saved by God’s grace, the judgment will determine your level of reward. We are saved by grace, but we will be judged by works. “We must all appear before the judgment seat of Christ, so that each may receive what is due for what he has done in the body, whether good or evil” (2 Corinthians 5:10). “[The Lord] will bring to light the things now hidden in darkness and will disclose the purposes of the heart. Then each one will receive his commendation from God” (1 Corinthians 4:5). If you are condemned by God’s law, the judgment will determine your level of punishment. “Do you presume on the riches of his kindness and forbearance and patience, not knowing that God’s kindness is meant to lead you to repentance? But because of you hard and impenitent heart you are storing up wrath for yourself on the day of wrath when God’s righteous judgment will be revealed” (Romans 2:4-5). “Now we know that whatever the law says it speaks to those who are under the law, so that every mouth may be stopped, and the whole world may be held accountable to God” (Romans 3:19). “[God] commands all people everywhere to repent, because he has fixed a day on which he will judged the world in righteousness by a man whom he has appointed; and this he has given assurance to all by raising him from the dead” (Acts 17:30-31). Luke 20:45-47 and Matthew 11:20-24 suggest that some people will receive more severe punishment. How can the doctrine of final judgment influence our lives? (This is borrowed from Systematic Theology by Wayne Grudem, pp. 1147-1148.) First, it satisfies our desire for justice (Colossians 3:25). Second, it enables us to forgive others (Romans 12:19; Luke 23:34). Third, it provides a motive for righteous living (Matthew 6:20). Fourth, it provides a motive for evangelism (Ezekiel 33:11; 2 Peter 3:9).